After putting the whole discussion on hold indefinitely over Christmas, ACCC last week resumed the process and today have announced their decision. The bottom line for Crace is that our Supabarn is staying, at least for now. Last year we sought feedback and comments from the public in Crace, Gungahlin, Canberra, and the Sydney suburbs that have a Supabarn store. Results were collated and the Crace Community Association put in a 48 page submission to ACCC. The strong preference of respondents was that Supabarn remained in Crace, though there were those who either didn’t mind, and some who preferred the sale go ahead. We sent a representative to the ACCC forum on the topic which also contributed to our submission. The longer story, for those interested, is that ACCC has objected to the purchase of some but not all of the stores. In response, Coles has submitted an ammended proposal for only five stores, which the ACCC has not opposed. 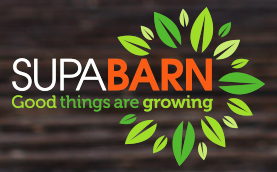 In Canberra, the stores that will remain Supabarn are Crace, the new store being built in Casey (the largest Supabarn store), and the new store being built in Kingston which wasn’t part of the proposed buyout. In Sydney, the Sans Souci store will remain a Supabarn. All Supabarn Express stores will remain as they were never part of the buyout deal. One of the stores that has been approved to be sold to Coles is the one at Kaleen Village. It will be interesting to see what that means to the derelict shop site in Giralang, where Woolworths has failed to get approval to build in the past. I personally wish the Koundouros family all the best and thank them for their support of the CCA. It’s bittersweet that the brand they have created is so loved by the people that we don’t want to let them go, even though that is their preference.